Did you ever experience problems when you have to Import vCard 2.1 to iCloud? Communication is the most essential part of the human society. No one on this earth can live without interacting with their loved ones and as we are moving ahead with technology, we are saving all our contacts in the digital form. The digital scenario has very many specifications and standards when it comes to saving a contact which is easily accessible and readable by the user. vCard provides that solution for us. 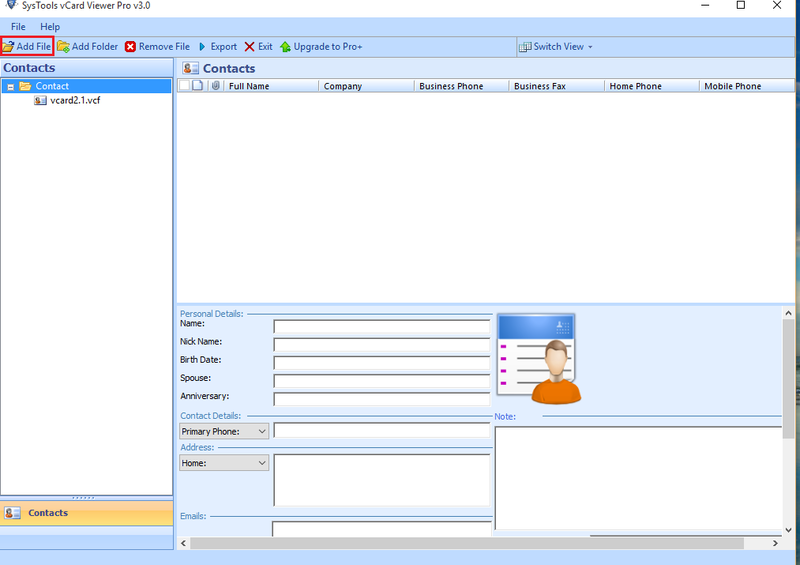 A vCard is a standard file format for contacts. In the general words, a vCard file is a business card stored in a digital format. vCards are widely accepted and supported on every devices and platform. Like, any other technology vCard also has its versions which are as follows:- vCard 2.1, vCard 3.0 and vCard 4.0. But, sometimes user face problems when they try to import vCard 2.1 to iCloud. You can try for a vCard 2.1 to 3.0 converter. Let us take a look at the user query to understand the situation better. Does the query be very much similar to you? Do you acquaint with such errors? 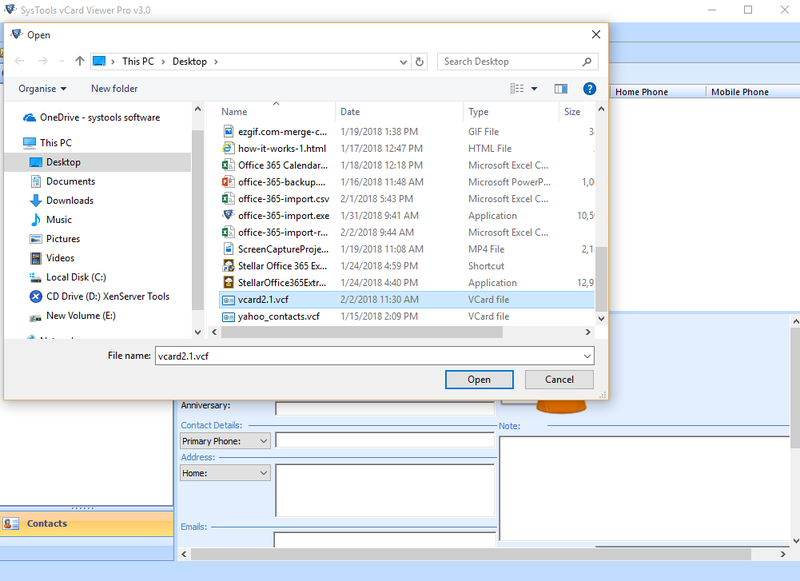 Do you want to know how to view the VCF file? The following problem arises when the user import vCard 2.1 to iCloud because iCloud does not accept the vCard 2.1 version. The minimum requirement to import a vCard file to an iCloud account is 3.0 version. When a user tries to import a vCard file with version 2.1 it shows the following error “Unable to import vCard” or “Cannot import some vCard”. Do not worry, this blog will completely sort out all your problems related to convert vCard version 2.1 to 3.0 / 4.0. You can convert your vCard 2.1 to higher versions like vCard 3.0 & vCard 4.0 manually. Here you will find unexceptional manual methods to overcome Import vCard to iCloud error so, that it will be helpful for you to convert vCard 2.1 to 3.0. The very first method will deal with changing the Version label of the vCard file. You can proceed with the following steps. 1. Right-click on your vCard file and Open With any text editor. 2. You will find a VERSION label which will specify the version of the vCard. 3. You can edit this file version by changing 2.1 to 3.0 or 4.0. Note: The method might be helpful when you have to convert 2.1 to 3.0 / 4.0 but there is no compulsion that the converted vCard file will work. 3. Go to the Google contacts and click on the More option from the navigation panel. 5. Import all the contacts in vCard file formats. 7. Now, you can use this contact for import in iCloud. As in the Method 1, it is difficult to change the version in the text editor itself. It will require high level of technical knowledge and there is no assurance that the upgraded vCard file version will work or not. The second method is a way too lengthy as it is a two-step process to convert vCard version 2.1 to 3.0. The second method requires internet connection otherwise you would not be able to export contacts to google contacts. 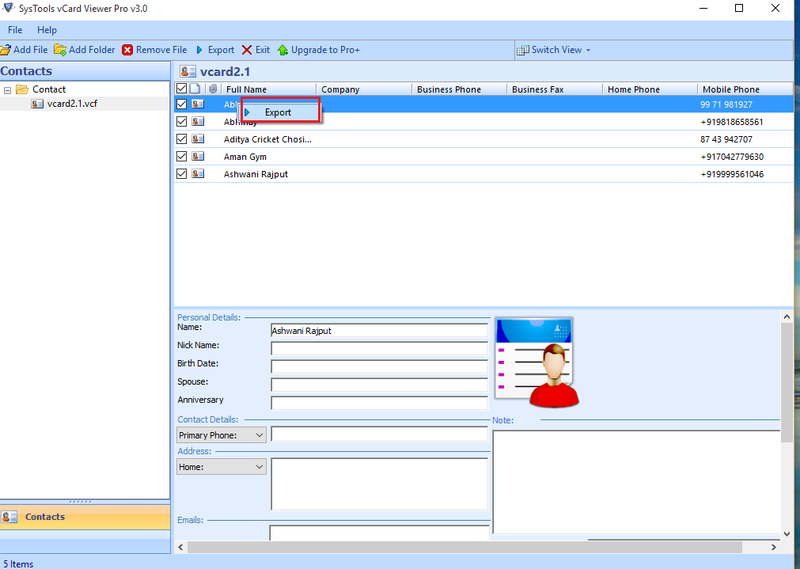 Your contact data can be lost during exportation of the contacts. You cannot bulk import vCard to iCloud by using manual techniques. Do not worry, You always have an alternative solution to import vCard 2.1 to iCloud. 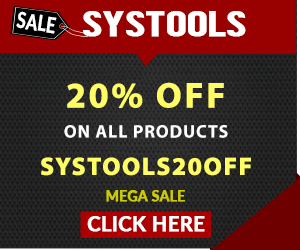 You can opt for Systools vCard Viewer Pro tool for an easy process and assured results. Proceed with the below steps to use the tool. 1. 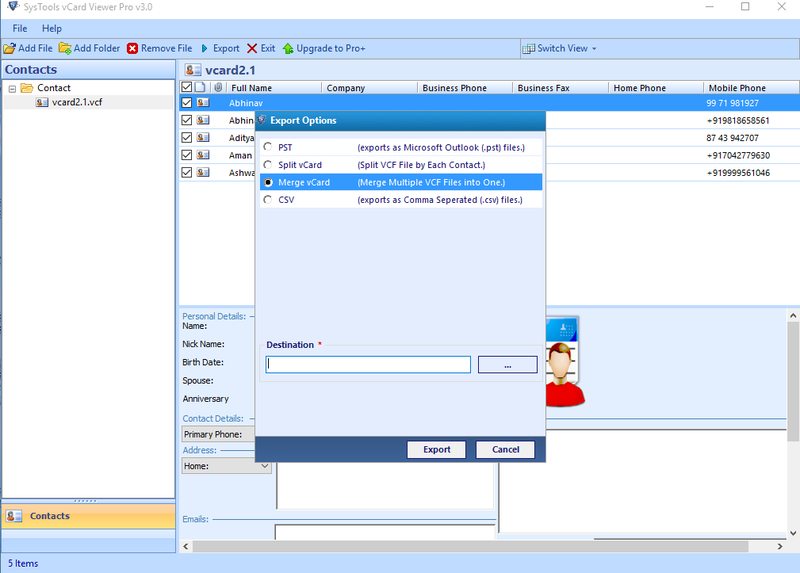 Open vCard Viewer Pro Software and click on the Add File option. 2. Select the vCard file which you need to import to the iCloud. 3. Then again click on the exported VCF file to preview the contacts. Now, you can use this vCard file to import in iCloud. The vCard file which you have exported using vCard Viewer Pro tool will be easily imported in the iCloud. The utility is a vCard 2.1 to 3.0 converter and provides options to merge, split and bulk import vCard to iCloud. The above manual method is quite helpful and efficient but they have their drawbacks too. As it is always recommended to use alternate solutions which will provide complete assurance to import vCard 2.1 to iCloud. The tool will import vCard more effectively.